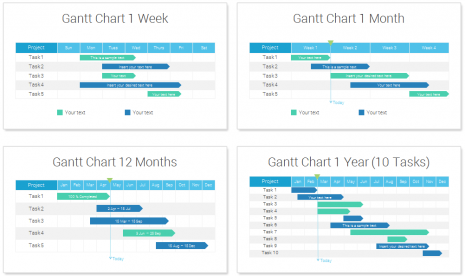 Timeline and Gantt chart toolkit for PowerPoint with 16 pre-designed slides. 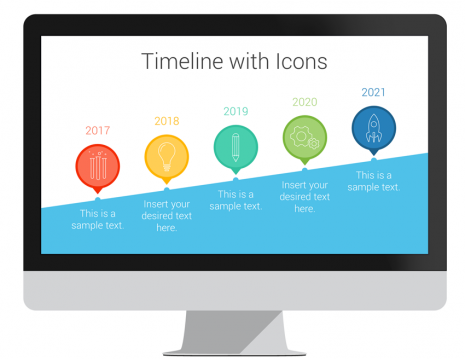 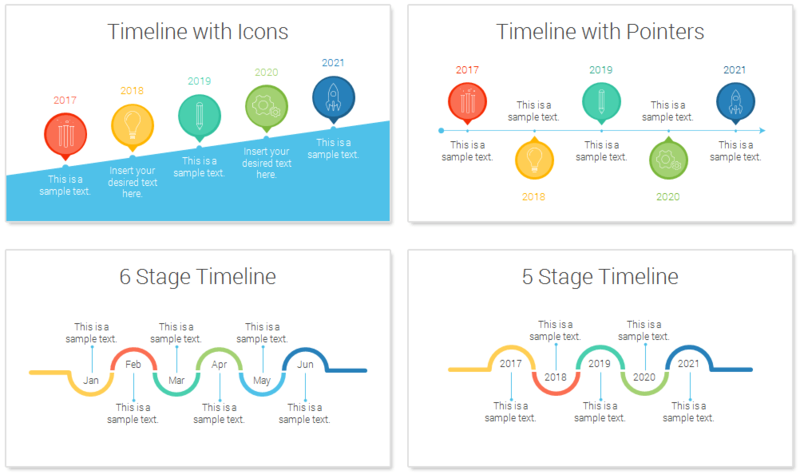 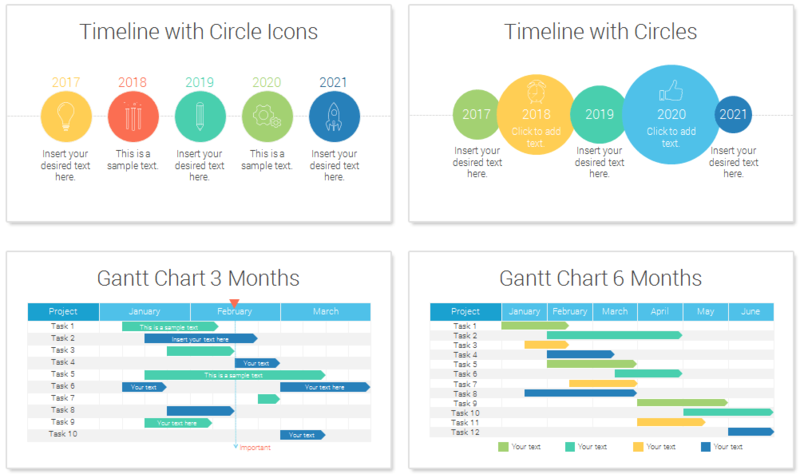 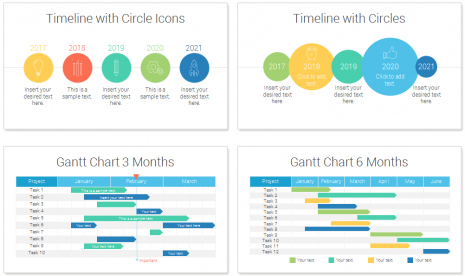 This package includes Gantt charts and timelines in flat design style with icons, pictures, pointers, and circles. 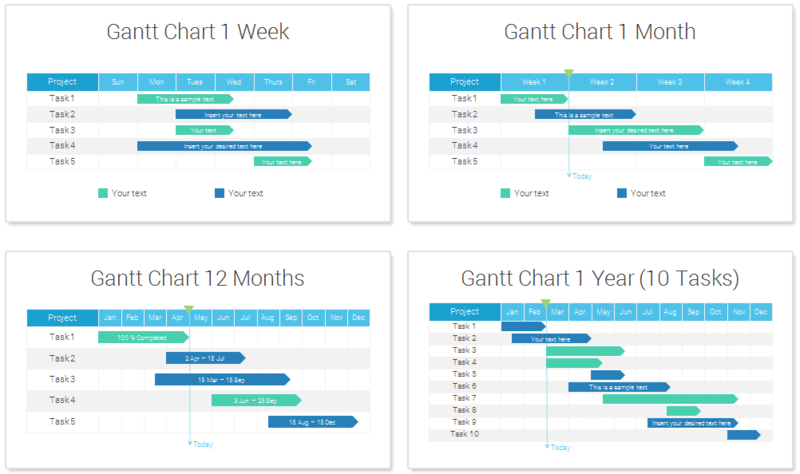 Gantt charts are perfect for project management and this toolkit includes many beautifully designed slides with various durations from 1 week to 12 months. 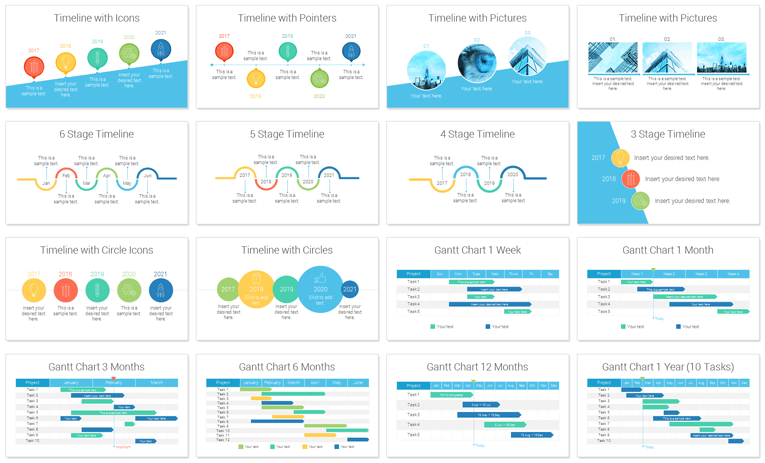 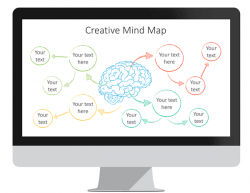 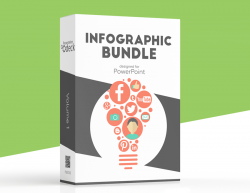 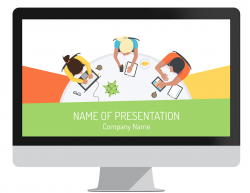 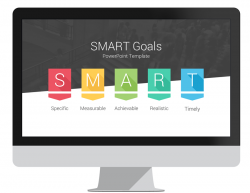 These charts could be used in any existing presentation and are fully editable. 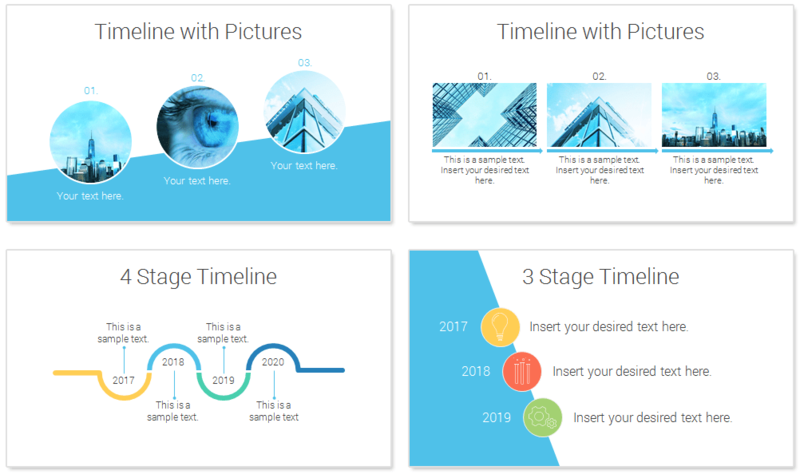 Create unlimited variations; you can modify shapes, text, and colors in the slide master view in PowerPoint.